Do you have an ACL tear? 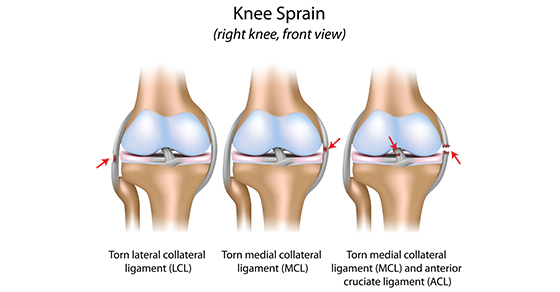 Should you have surgery to repair your ACL tear? This is one of the most common knee injuries. It is typical that if you have only a partial ACL tear- no surgery is recommended. 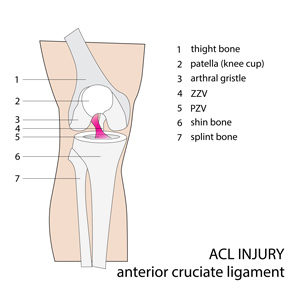 Even if you have suffered a full ACL tear – the decision to have surgery is not always clear. Factors to consider include: are you a competitive athlete in the prime of your life and do you plan to continue competing in your sport of choice? If the answer is yes, then more than likely, you are going to be advised to proceed with an ACL surgical repair. If you have a full ACL tear, but are not a competitive athlete, then the decision to proceed with a surgical approach becomes less certain. For many people, treatment with a skilled physiotherapist can help you to strengthen your muscles around the knee joint. This will support the knee for everyday activities without the use of a brace. You can then continue to participate in sporting activities with the use of a brace. Braces are now available in lightweight comfortable materials that are reasonably unobtrusive and effective at protecting your knee from further injury. Bledsoe custom knee bracing is on the leading edge of sports injury bracing and can be purchased through our office. If you decide to proceed with the surgery, be advised that the surgery is significant and the recovery typically takes between 6 to 12 months with the close supervision of a trained Registered Physiotherapist. Check out this link to consider if surgery is the right decision for you. Surgery does not guarantee a perfect outcome – it always comes with the possibility of unintended consequences. A proper Physiotherapy rehabilitation program can mitigate these factors and assist you with your recovery! We have Sports Physiotherapists trained to do the post-surgical rehabilitation program at our offices. Call today to book a pre surgical consult with one of our skilled physiotherapists or to get fitted for a custom knee brace. We can facilitate the decision making process if you wish. Call PhysioNow today to get started!